5.2.2 Sensors Used for Dimensional Metrology . 5.3 Dimensional Measurement Execution Systems . 5.3.2 Portable Measurement Systems . 5.4.1 DMIS Data Model . 5.4.2 I++DME Data Model . 6.2 Data Fitting Theories and Computational Metrology . 6.2.2 Mathematical Representation of Geometric Elements . 6.2.3 Geometry Data Fitting Criteria . 6.2.4 Algorithms for Minimum Tolerance Zone Calculation . 6.3.1 Commercial and Proprietary Data Models . 6.3.2 Quality Measurement Data Model . 6.4.2 Quality and Production Engineering . 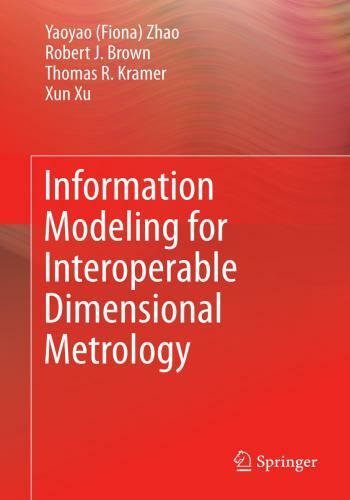 7 Dimensional Metrology Interoperability Issues . 7.2.4 Data Analysis and Reporting Systems . 7.2.5 Crosscutting Interoperability Issues . 8 Dimensional Metrology for Manufacturing Quality Control . 8.1 Six Sigma and Dimensional Metrology . Manufacturing to Large Global Industry . 8.4.3 OAGi Engineering to Business Data Model . 9.2.1 De Facto Versus De Jure Standards . Appendix C: EXPRESS-G a Diagrams of HIPP Data Model .